The Salafist and Wahhabist strains of radical Islam and their differences are worth understanding, as both ideologies have become more influential in the Middle East and North Africa since the Arab Spring revolutions. Salafi jihadism or Jihadist-Salafism is a transnational religious-political ideology based on a belief in violent jihadism and the Salafi movement of returning to “true” Sunni Islam. The terms “Salafi jihadists” and “Jihadist-Salafism” were coined by scholar Gilles Kepel in 2002 to describe “a hybrid Islamist ideology” developed by international Islamist volunteers in the Afghan anti-Soviet jihad. I prefer to call them the “Jihadist-Salafism” since the Salafism is the core of their ideology and practices while the “Jihad” is a way to implement the Shariaa in the Islamic State or Caliphate according to the Salafist doctrine. “Jihadi Salafists” are different from traditional “Salafis” who avoid any political and organisational allegiances except the obedience to the ruler, “Waley Al-amr”. Among the apolitical and conservative Salafi scholars, Muhammad Nasiruddin al-Albani, Muhammad ibn al Uthaymeen, Abd al-Aziz ibn Baz and Abdul-Azeez ibn Abdullaah Aal ash-Shaikh. Salafism derives from the Arabic word Salafiyya, which originated from the term al-salaf al-salih, which means “the pious predecessors.” This is a reference to the generations of Muslims who lived around the time of the Prophet Mohammed in the seventh century. These followers include the “Companions,” known as Sahabah, the “Followers,” known as Tabi’un and the “Followers of the Followers,” called Tabi’ al-Tabi’in. Some believe that Salafism is an extension of the School of Ahl al-Hadeeth that is said to have emerged under the leadership of Ahmad Ibn Hanbal in 855 A.D. It runs contrary to the Mu’tazila school, which is based on the pursuit of reason and rational thought. Ibn Hanbal was one of four Sunni imams who founded a jurisprudence school, known as a madhab, while Mu’tazila was founded by Wasil Ibn ‘Ata almost 100 years earlier. The Mu’tazilis, inspired by Greek philosophy and other foreign philosophies and theologies, asserted the perfect unity, justice and eternal nature of Allah. Ibn Hanbal, on the other hand, was more traditional in his view of the sacred text. He insisted that Islamic knowledge must have derived from the Qu’ran and the Sunnah, the traditions of Prophet, not from reason and humans’ own interpretation of the religious texts. As a result, Salafis reject speculative theology that involves debate, known as kalam, considering it a foreign import from Greek philosophy that has no place in Islam. After a few centuries, the Hanbali school merged with the literalist Ẓahiriyah school that insisted on strict adherence to literal translations of the Qu’ran and regarded the Sunnah as the only authority on Muslim law. It rejected interpretation of the religious text and denied analogical reasoning – qiyas – and pure reasoning – ra’y – as sources of jurisprudence. Salafism saw a revival in 1328 A.D. thanks to the work of Taqi ad-Din Ibn Taymiyyah. This coincided with the fall of Baghdad at the hands of the Tartars. Ibn Taymiyyah launched a campaign calling for a pious revival of the doctrine in order to achieve an Islamic renaissance under Tartar rule. Salafis believe that the Qu’ran, the Hadith – the sayings of Mohammed – and the work of Muslim scholars provide guidance for Islam’s devotees. They support qualified scholars engaging in ijtihad – independent reasoning – using evidence from the Qur’an, versus taking its tenets as outright truth, an approach known as taqlid. Salafism rose and fell in the following centuries, making a resurgence again in the 18th century A.D. through the work of Muhammad Ibn Abd al-Wahhab, who was born in what is today Saudi Arabia. This branch of Salafism or Wahhabism called for “pure” monotheism and condemned polytheistic practices. It also spoke out against invoking the names of religious figures, venerating the graves of Islamic saints and using amulets to seek protection. Followers stated that such practices were heretical. Ibn Abd al-Wahhab, who was influenced by the writings of Ibn Taymiyya, gained popular support by convincing Uthman Ibn Mu’ammar, a local chieftain, to assist him in his struggle against idolatry, the cult of saints, and shrine and tomb visitation. The Wahhabi movement eventually came to control the Arabian Peninsula through a 1740 A.D. alliance between Ibn Abd al-Wahhab and Muhammad Ibn Saud that managed to establish a state in the central part of the Arabian Peninsula. Ibn Saud provided political and financial support for the religious revival of Salafism. Since the 18th century, the alliance between the Wahhabi religious establishment and the Saudi royal family has continued to support the Salafi doctrine in the kingdom and all over the Islamic world. The Saudi family has also condemned other Islamic schools of thought, including those of Shi’a Muslims, Sufis and some Sunnis. By the end of the 18th century, Ibn Saud and his descendants had spent nearly 140 years engaging in military campaigns to seize control of Arabia and surrounding regions. Ibn Saud and his followers attacked the city of Karbala in Iraq in 1802 A.D., killing the majority of its people dwelling in markets and in their homes. They also looted and destroyed the dome placed over the grave of Imam Husayn Ibn Ali, according to Wahhabi texts. Ibn Saud was finally defeated by Ottoman forces in 1818, but his son, Abdulaziz Al Saud, managed to control the Arabian Peninsula after the collapse of the Ottoman Empire. On September 23, 1932, he founded the Kingdom of Saudi Arabia. Today, Wahhabism amounts to an extreme version of Salafism, with radical Takfir concepts and fatwas that include denouncing some Muslims as nonbelievers. Wahhabis, for example, denounce Shi’a Muslims as apostates and refer to them as rafidas, or deserters. This was a phrase coined by Ibin Taymiyyah, who accused Shi’a scholars of blasphemy and considered the general Shi’a population to be ignorant and misguided. Nowadays, some Wahhabi clerics have issued fatwas denouncing all Shi’a Muslims as nonbelievers, calling for violence against them, and justify to kill and steal them and to capture their women and children as slaves. It is important to note, however, that Salafism has many branches, including Scientific Salafism and Jihadi Salafism. Furthermore, Salafist groups have differences in their attitude towards political action and strategies of change and reform, where some of its groups believe in the principle of “obeying the ruler” and thus accepting the rule of the dominant. Other groups are based on the principle of considering rulers as infidels and call for confronting them. However, Salafism lacks a global or regional organization, contrary to the Muslim Brotherhood. It also lacks unified local movements in Arab countries, and is marked by broad and considerable internal differences. One of them is the controversy on the “legitimacy” of who is a Salafist. In the 1990s, Jihadist-salafists of the Al-Gama’a al-Islamiyya were active in the attacks on police, government officials and tourists in Egypt, and Armed Islamic Group of Algeria was a principal group in the Algerian Civil War. The most famous Jihadist-Salafist attack was the 2001 9/11 attacks in the United States by al-Qaeda. Al-Qaeda group has been growing after the invasion of Afghanistan in 2001 and Iraq in 2003. The Salafi jihadist groups have benefited as from “the Arab Spring” chaos and the breakdown of state control in Libya, Yemen, Syria and partly because of the political conflicts and protests in Iraq, Egypt and Tunisia. Salafi jihadists name the traditional Salafis as “sheikist”, because they had forsaken adoration of God for adoration of “the oil sheiks of the Arabian peninsula, with the Al Saud family at their head”. 5- The centrality of jihad against infidel regimes. Other scholars describe Salafi Jihadism as combining “the doctrinal content and approach of Salafism and organisational models from Muslim Brotherhood organisations. Their motto emerged as ‘Salafism in doctrine, modernity in confrontation’”. Some researchers believe that the “Muslim Brotherhood” ideologue Sayyid Qutb has developed parts of the ideology of “Jihadist Salafism”, particularly the “Takfir” (the declaring of a Muslim to be outside the creed) of the Muslim societies by arguing that the Islamic world has been replaced by pagan ignorance of Jahiliyyah. The Egyptian group Takfir wal-Hijra, who was inspired by Qutb ideas, and has kidnapped and murdered an Egyptian ex-government minister in 1978, inspired later some of “the tactics and methods” used by Al Qaeda. Perhaps the most famous and effective Salafist jihadist group was Al-Qaeda which was formed by Osama bin Laden on August 11, 1988. Al-Qaeda evolved from the Maktab al-Khidamat (MAK), or the “Services Office”, an organization founded in 1984 to raise and channel funds and recruit foreign mujahideen for the war against the Soviets in Afghanistan. Al-Qaeda emphasized jihad against the “far enemy”, i.e. the United States. In 1996, it announced its jihad to expel foreign troops and interests from what they considered Islamic lands, and in 1998, it issued a fatwa calling on Muslims to kill Americans and their allies whenever and wherever they could. Among its most notable acts of violence were the 1998 bombings of US embassies in Dar es Salaam and Nairobi that killed over 200 people;(30) and the 9/11 attacks of 2001 that killed almost 3000 people and caused many billions of dollars in damage. In Syria “Jabhat al-Nusra” , al-Qaeda branch in Syria, was created by “The Islamic State in Iraq”(ISI) that became later “The Islamic State in Iraq and Sham(Syria)”(ISIS) after the decision of Abu Bakr Al-baghdadi to unify the two branches and declare his state or Caliphate in 2013. They both possess a hard-line “Jihadist-Salafi” ideology and use very violent means in fighting their enemies, the regimes of Syria and Iraq or the other Syrian factions. According to the research of Seth Jones at the Rand Corporation, the Jihadist-Salafist numbers and activity have increased not decreased from 2007 to 2013, and the number of Salafi-jihadist groups increased by over 50% from 2010 to 2013, using Libya and parts of Syria as sanctuary. The war in Syria was the most important attraction for Salafi-jihadist fighters. “The Islamic State” refers to the group once known as “the Islamic State of Iraq” (ISI, October 2006–April 2013), the Islamic State of Iraq and Sham (ISIS, April 2013–June 2014), and the Islamic State (IS, June 2014–present). Although, the group was founded in 2006 by Abu Musaab al-Zarqawi, it only draw international attention in 2013–2014, as something more than a front for al-Qaeda’s Iraq branch. Announcing its expansion to Syria, the Islamic State of Iraq rechristened itself the Islamic State of Iraq and Sham (ISIS). After gaining resources, recruits, and momentum, the group capturing most of the Sunni areas of Iraq in June 2014. It then declared itself the caliphate. A Canadian journalist interviewed me in 2015 about ISIS(The Islamic State) and its thought origins. She asked me if I see any parallels between ISIS today and the practices or approach of the first Ummayad Caliph Muawiyah Bin Abi Sufyan (602–680), who ruled between (661–680), or any other early figure from the Ummayad dynasty, and how does he differ from ISIS practices today. My answer was that ISIS has more similarities with the Khawarij, or Kharijite, the earliest Islāmic sect, which traces its beginning to a religio-political controversy over the Caliphate. This sect was very religious but it considered Kaffir every Muslim who commits sins like adultery or stealing, and they considered Imam Ali ibn Abi Talib( 601 – 661) as Kaffir because he was forced to agree to arbitration by umpires after the Battle of Ṣiffīn (July 657) against Muʿāwiyah’s forces, they protested that “judgment belongs to God alone” (Qurʾān 6:57) and believed that arbitration would be a repudiation of the Qurʾānic dictum “If one party rebels against the other, fight against that which rebels” (49:9). Imam Ali ibn Abi Talib was the cousin and son-in-law of the prophet Muhammad, and had ruled over the Islamic Caliphate from 656 to 661. He was also the first male who accepted Islam, the Sunnis consider Ali the fourth and final of the Rashidun (rightly guided Caliphs), while Shia regard Ali as the first Imam after Muḥammad, and consider him and his descendants the rightful successors to Muhammad, all of whom are members of the Ahl al-Bayt, the household of Muhammad. This disagreement split the Ummah (Muslim community) into the Sunni and Shi`i branches. Imam Ali described this interpretation of Khawarij regarding the arbitration as “a word of truth but they are seeking by it the falsehood”. These Khārijites were opposed equally to Alī’s claims and to those of Muʿāwiyah and, the Khārijites engaged in campaigns of harassment and terror against all Muslims who did not accept their views. Later, one of those Kharijites has assassinated Imam Ali while he was praying. Thus, the Kharijites were the first Muslims who accuse another Muslim of apostasy, what is called in Arabic “takfir”, which derived from the word kafir (infidel). So we can call them the first takfiris, as it is used today by Muslims, especially Shias, against the Salafis who consider Shias as infidels, or Kufars, the plural of Kafir in Arabic. Back to Mu’awiyah, I believe there are parallels between ISIS today and the practices or approach Muawiyah took and other figures from the Ummayad dynasty, those parallels can be identified by the means of violence against their adversaries, such as beheading, burning, cutting human organs, torturing, and creating art of torturing from Mu’awiyah to his son Yazid (683), and the massacre of Karbala against the family of the Prophet, Imam Hussein and his family, they killed the men and beheaded their heads and captured the women and took them from Karbala in Iraq to Damascus in Syria, to Yazid’s palace to satisfy him. Another inspiration ISIS might took from Mu’awiyah and the Ummayad dynasty is the expansion of their state towards new countries. But the Islamic invasion or Fatih, is something that most Sunni Muslim are proud of it, while some Shia scholars criticized it as it became a way of forming an empire, getting taxes from the invaded countries, and not caring about spreading Islam. Sometimes, those rulers or leaders did not want that Christians convert to Islam because then they won’t pay taxes that they are seeking. Actually, not only the Ummayad rulers were responsible on this way of thinking, but also the Abbassi dynasty who claimed their revolution for the sake of Al al-bayt, the Prophet family, has followed the Orthodox Sunni school and later they supported the Hanbali school of Imam Ahmad bin Hanbal, that all Salafist schools derive from. On October 8, 2014, Al Qaeda leader Ayman Al-Zawahri called for the disbanding of the so-called Islamic State of Iraq and al-Sham (ISIS), declaring that Jabhat al-Nusra is instead Al Qaeda’s branch in Syria. ISIS leader Abu Bakr Al-Baghdadi refuted Al-Zawahri’s statement, saying that ISIS will remain in Iraq and Syria. The conflict between the two branches of Al Qaeda in Iraq and Syria and the public disagreement between Al-Zawahri and Al-Baghdadi show how the group founded and led by Osama Bin Laden has entered a new, sprawling phase after his death. In the past two decades, the Al Qaeda organization underwent three basic phases in which it became more prominent and grew structurally, sub-divided into many different branches and solidified its strategies and tactics. The first phase was its founding in Afghanistan in the late 1980s by Palestinian militant Abdallah Azzam and Saudi militant Osama Bin Laden. The organization became more crystallized in 1993 when Bin Laden gathered supporters from all across the world from his base in Sudan. The second phase, of Al Qaeda’s military and security activities, started in 1996 with the declaration of “The Global Front For Fighting Jews and Christians,” which included the Qaeda-al-Jihad (The Base of Jihad, the original name of Al Qaeda), and other groups such as the Egyptian Islamic Jihad organization led by Ayman al- Zawahri and the Egyptian Al-Jamaa Al- Islamiyya led by Rifa’a Taha. This phase culminated in the September 11 attacks of 2001. The third phase that began with the American invasion of Iraq in spring 2003 witnessed a decentralization and expansion that helped the organization attract more members. The group had suffered from a NATO attack on Afghanistan in October 2001 that caused destruction of its camps, escape of its leaders and hundreds of deaths within its cadres. Through this period, Al Qaeda launched hundreds of attacks against American and Western forces in Iraq and Afghanistan. It also founded new branches in Yemen, North Africa, Somalia, the African Sahara, Syria, Lebanon, Gaza and the Sinai peninsula. The American success in killing Bin Laden in the Pakistan city of Abbottabad on May 2, 2011 came only after few months of Arab Spring revolutions that toppled dictators in Tunisia and Egypt and brought several insurrections and protests in Libya, Bahrain, Syria, Yemen, Saudi Arabia and Oman. At that time, some Western analysts concluded that Al Qaeda was in decline, suggesting that the death of its leader, Bin Laden, and the rise of peaceful protests calling for democracy in Arab countries would further weaken the extremist organization and its tactics of violence and terrorism. Yet, Al Qaeda today has become stronger and more dangerous and is spreading even more than before. What are the reasons behind the rising power of this organization and its horizontal spread across the globe? Hassan Abu Haniyyeh, a Jordanian expert on Islamic movements, said that Al Qaeda’s central organization in Pakistan and Afghanistan suffered in the past few years in its attempts to remain active and powerful. Yet it managed to exploit Bin Laden’s death and the Arab Spring’s failures as a way to make its ideology more acceptable and attractive, moving the organization into a more powerful and widespread phase. Abu Haniyyeh explained that while the first phase focused on fighting the near-domestic enemy of Muslim tyrant regimes and the second phase on fighting far-global enemies of the U.S. and the West, the third phase is distinguished by a fusion of both dimensions: fighting enemies both near and far. Abu Haniyyeh believes that loyalty of dispersed branches of Al Qaeda around the world is due more to the group’s doctrine than to its organizational commitment, similar to the Communist parties’ connection to Marxist-Leninist ideology. Prominent Palestinian writer and analyst Abdel Bary Atwan wrote in his recent book, After Bin Laden: Al Qaeda, the Next Generation (2012), that Al Qaeda has developed into an ideological-political doctrine that no longer relies on centralized leadership and that allowed its offspring to produce regional emirs (princes) and local agents. Thus, targeting the organization and abolishing it has become increasingly difficult. Atwan said that a close source to Al-Zawahri, the leader of Al-Qaeda, told him that Al-Zawahiri has always encouraged every Muslim country to have its own version of Al Qaeda. He said the organization has come to prefer a horizontal leadership structure because of the constant loss of its leaders and cadres through assassinations. Al Qaeda of today is no longer the same organization it was at its origin since its need for a central headquarters has lessened. Al-Zawahri’s leadership has become more like a consultancy and source of orientation rather than an organizational-military leadership. Therefore, Abu Bakr Al-Baghdadi is the leader of The Islamic State of Iraq or The Islamic Emirate, whereas Al-Zawahri is the emir of the organization but not in the Bilad al-Sham Levant area, Bakri stated. Bakri, as a supporter of Al Qaeda, has expected early that disagreements between Zawahiri and Baghdadi would lead to a split in the group and he called for appointing Baghdadi as Caliph. Later, Bakri himself was arrested in May 2014 by the Lebanese police under charges of being attached to ISIS, and his sons were killed in October 2015 and January 2016 while they were fighting in Syria and Iraq with the group. “Al-Qaeda in the Arabian Peninsula”(AQAP), based in Yemen, has significantly denied its involvement in Sanaa’s suicide bombs in the Shia Zaidi mosques, that took place on March 20, 2015 and killed 140 people and wounded 345, including many children. The explosions provoked a controversy between al-Qaeda and ISIS where the supporters of al-Qaeda accused the ISIS of being reckless in shedding bloods. Mawlawi Abdullah, one of “Ansar al-Sharia”, al-Qaeda’s branch in Yemen posted on his twitter’s account: “They cannot target ordinary Muslims who frequent mosques, spilling Muslims’ blood is forbidden by Allah. They should make a distinction”. “They cannot target mosques and souks(markets), killing Muslims on the basis of “Tataruss”(shielding), this is baseless, and who wants to know about the issue of “Tataruss”(shielding) must read Ibn Taymiyyah’s opinion regarding this issue”, he added. Tataruss”(shielding) means that the enemies use Muslim captured as a shield to protect themselves and obstruct the Muslims’ army advances. Thus, some Muslim scholars permitted targeting the enemies “the infidels”, although they are shieldieng with Muslims that may be killed, under the necessity case. Abu Maria al-Qahtani – the legislative commander of al-Nusra Front, al-Qaeda’s branch in Syria, affirmed that the dispute with ISIS is systematic not political or over administrative issues. Al-Qahtani explained on his tweets that the disapproval of the mosques’ bombings by ‘Ansarul Sharia’ is considred as an advanced step, legal and practical message to all the supporters of ISIS. He added: “This shows that our Mujahideen (fighters) brothers are responsible in terms of shedding bloods… when Mujahideen denounce any issue rejected by the rules of Sharia, they will be able to show, in public, that the criminal actions of ISIS are not related to religion and that ISIS is accusing others of infidelity on political basis and it is blewing up souks”. ISIS justifies the suicide bombs against the Houthi mosques as they are “Enemies of Allah, his religion and his Guards”, describing the Zaydi Mosques as “Dens of polytheist Houthis”, and their Imams as “Heads of the infidel Imams”. ISIS accuses the Muslim Shia sects including Zaidis of “polytheism and infidelity.” However, Zaydis are considered by Sunnis as the most moderate Shia school and the closest to them. Noah believes that al-Qaeda’s disapproval aimed at taking advantage of the event in order to deal blow to ISIS advancements in Yemen. Noah referred to al-Qaeda’s previous bomb attacks against Houthis in Yemen. The question is what is the truth behind al-Qaeda’s disapproval of the bombings? Is it just because the mosques include Sunni civilians and children? When al-Qaeda organization was founded, it was not among its priorities to be involved in the issue of sharia position towards Shiite sects. Al-Qaeda was concerned mainly of facing the “US-Western aggression on the Arab world”. Therefore, before Abu Musaab Zarqawi takes over in Iraq, al-Qaeda was not concerned of issuing a judgment against Shia. Al-Zarqawi was the first Qaeda leader who allowed targeting the “infidel Shias’ in the political process in 2004, and later on he allowed to target the ordinary Shias. Consequently, al-Qaeda and ISIS refer to fatwas of Sheikh Taqî ad-Dîn Aḥmad ibn Taymiyyah (1263 – 1328) in considering the Shia infidels and heretics. As for Zaidis, Al-Khodeir explained that only those who “sacrifice for others or seek help from others without Allah, are considered as polyseits and infidels. While those who were scholars of theology they were viewed as Mu’tazila”. Salafist consider Mu’tazila as infidels. 3- The Twelver Shia, most of them are in Iran, Lebanon, Pakistan, Afghanistan and the Middle East region. Most of the Fatwas against Shia sects were extracted from Ibn Taymiyya’s view in his Book “al-Fatawa” and others. undoubtedly, al-Qaeda and ISIS refer to Wahhabi Salafism founded by Sheikh Mohammed ben Abdelwahhab(1703 – 1792), the founder of Wahhabism in the Arab Peninsula which is called today “Kingdom of Saudi Arabia” and ruled by the house of Al-Saud. Ibn Taymiyya stated that Shia are Rafidah, describing them as atheists and hypocrites. Moreover, he encouraged fighting and killing the “atheist Shia rather than fighting the Khawarij”. Consequently, the dispute between al-Qaeda and ISIS regarding Shia is linked to their political priorities and interests and not to their religious doctrine towars the Shia. The emergence of al-Qaeda organization in Lebanon has begun before the Syrian crisis in 2011, specifically in 2007 with the increase of the activities of “Fatah al-Islam”, “Abdallah Azam Brigades” and “Brigades of Ziad al-Jarrah”. Some reports confirmed that the organization of the “Islamic State”(ISIS) has established its presence in Tripoli and other Lebanese cities. Furthermore, reports said that ISIS has established its presence in some of Lebanon’s Palestinian Refugees Camps, particularly in “Ain El Helwe” camp near Sidon, where the black flags related to al-Qaeda organization appeared on the balconies, streets and some of Tripoli’s districts. Nevertheless, the presence of such flags linked to al-Qaeda and ISIS is an expression of support and sympathy more than an affiliation or links to these organizations. The Jihadist organizations in Syria have benefited from the Bekaa’s village of Arsal on the Syrian borders. This village was used as a gateway for the booby-trapped vehicles from Yabroud – Qalamoun area to Lebanon in order to be detonated in Southern Suburb of Beirut (al-Dahyiha) and other Shiite Lebanese areas. However, some analysts and researchers believed that the ISIS remains weak in Lebanon confirming that it is still under construction. But the presence of Lebanese militants within the “Islamic State” who are fighting in Syria and Iraq, confirmed the formation of organizational network inside Lebanon, especially after they committed two suicide bombs in Beirut in 2015. Al-Nusra Front linked to al-Qaeda used to be the most popular among “Jihadists” in Lebanon, as “Abdallah Azzam Brigades” operating in Lebanon was considered more affiliated to al-Nusra Front than to “ISIS”. Nevertheless, Abu Bakr al-Baghdadi was able to attract some of his opponents in al-Nusra Front where some of the factions affiliated with al-Nusra in Deir al-Zour province owed their allegiance to Baghdadi, paving the way for him to tighten its control over the most prominent oil wells in the province, after he extended his control over the oil wells of al-Mosul in addition to his control over other oil wells. It is worth recalling that the Lebanese Authorities have announced during the month of January 2014 the arrest of the Saudi Majid al-Majid, leader of “Abdallah Azzam Brigades”, the organization that is responsible of the suicide explosion which targeted the Iranian Embassy in Beirut in November 2013. Majid was requested by the Lebanese authorities since his participation in 2007 confrontations of Nahr al-Bared refugee camp as well as in Ain El Helweh in 2009. Moreover, on May 24, 2012, the Abdullah Azzam Brigades has been designated as a terrorist organization by the United States. On August 2, 2014, the Lebanese army arrested a leading member of “ISIS” called Imad Ahmed Jomaa, he was previously a cadre of “Al-Nusra Front” but he owed allegiance to “ISIS”, after al-Baghdadi announced himself a Caliphate on June 10, 2014. Joumaa is from al-Quseir city of Syria, he is considered one of the field commanders in Qalamoun and he led “Liwa’ al Fajr Brigade” before announcing that he joined al-Baghdadi caliphate. It is said that Ahmed Jomaa was among the members of the first group which was engaged in fighting the Syrian army at the beginning of 2012. He is also accused of being involved in the assassination of Brigadier Salim Attieh, the former Chief of Military Intelligence in September 2012. Jomaa operated first within the ranks of “al-Farouk Brigadier” and then took over a faction in “al-Nusra Front”. Later on Jomaa moved from Qusair to Noaymat mountains, in order to live in the Lebanese twon of Arsal, in Bekaa, near the Syrian border. Following the arrest of Jomaa, clashes have erupted in this Lebanese-Syrian bordering area. Consequently, the Lebanese Army checkpoints in Arsal were targeted by the fighters of “ISIS” and “al-Nusra Front” leaving 20 soldiers of the Lebanese Army dead and 42 soldiers as hostages (22 soldiers from the Lebanese Army and 20 members of the ISF). After that, military clashes erupted between the two sides. However, negotiations between the government and the army command, from one side, and the fighters, from the other side, have begun through Salafist Sheikhs. On August 7, 2014, a settlement determining the withdrawal of gunmen from Arsal to its outskirts was approved. In late 2015, a swap deal between Nusra front and the Lebanese authorities has succeeded to free the Lebanese military men while the other soldiers captured by ISIS are still prisoned. These developments came following the death of tens of “ISIS” and other Jihadist groups in the Syrian town of Qalamoun by the Lebanese Shiite group Hezbollah who managed to tighten its control over many mounts and areas in Syria near the Lebanese borders. The numbers of Syrian and foreign “jihadists” in these outskirts were estimated between 5000 and 12000, as increased number of gunmen have joined “ISIS” recently. 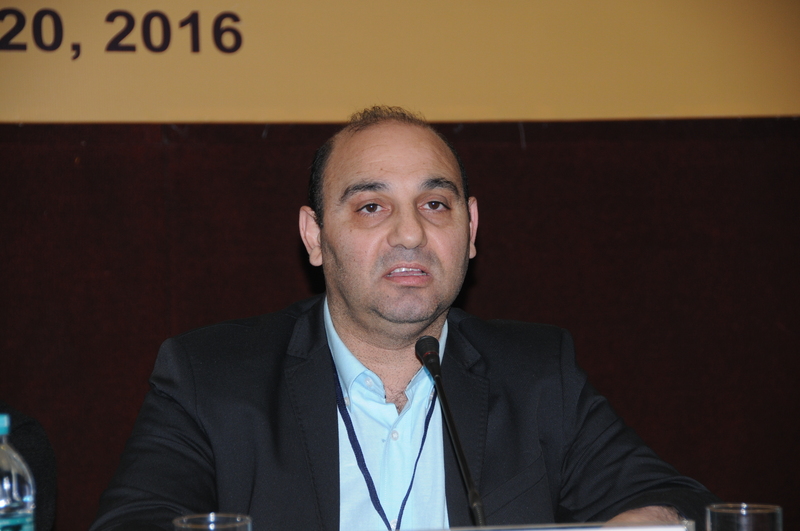 *Dr. Haytham Mouzahem is the head of Beirut Center for Middle East Studies and the editor in chief of The Levant News site. **The paper has been presented to the IDSA conference in New Delhi, “West Asia: Ideology, Politics, and Security Challenges in West Asia” on January 19-20, 2016.
Who wants to be a global policeman?